Irrigation Accessories has a long-standing tradition of partnering with the leaders in our industry. We work hand-in-hand with OEM’s, Distributors and Dealers. Whether it’s supplying our tried-and-true products or developing the latest solution to today’s problems, we have the reputation and knowledge our partners seek out. Because of our long and rich history and the relationships that have grown over the years, we can call upon our partners’ expertise to help solve new problems. We enjoy a mutually beneficial give-and-take with the industry leaders of today. And for that we are truly grateful. 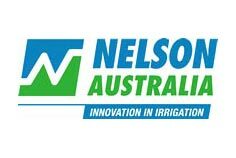 Nelson Irrigation Corporation is dedicated to “innovation in irrigation” and the search for ways to save water, save energy, and do a better job of irrigating. With new advancements in valves and controls – labor saving solutions are also part of the equation. They’ve developed a full-range of irrigation products to satisfy every need — from center pivot sprinklers to Big Guns and beyond. This product offering is greatly enhanced by their worldwide network of professional dealers and distributors that help provide customized water application solutions. 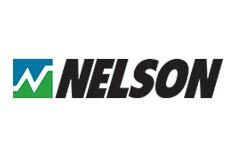 Recognized as a world leader in quality and innovation, Nelson’s focus is on providing exceptional products – including Rotator® Sprinklers, Control Valves, Pressure Regulators, and Big Gun® Sprinklers – for agricultural and industrial applications. Zimmatic is more than products and technology. Zimmatic is support from trained irrigation professionals to help you utilize the best management practices that lower operating costs through effective use of inputs such as labor, energy and natural resources. 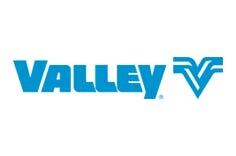 With products that set the standard for innovation and quality, Valley Irrigation is the technology leader in precision irrigation worldwide. For more than 50 years, Valley has developed products based on a vision of merging advanced technology with high functionality in order to meet customer needs. Today, Valley offers a wide range of products that meets the demanding needs of precision agriculture. Since 1932, Pierce has partnered with the American ag producer. Today, the scope of their products is worldwide, and through innovations in electronics and coating options, extends beyond agriculture to include chemigation and waste water management. Now, as they look to the future their pledge remains the same…to provide reliable, inspired engineering that will ensure the success of our customers. 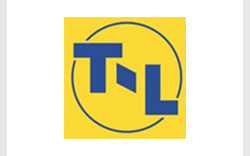 T-L’s headquarters and manufacturing operations are located in Hastings, Nebraska and offers the experience and product quality gained from over 55 years of irrigation excellence. They are ready to assist in your irrigation planning, fulfill your pivot irrigation equipment needs, and provide a prompt estimate of costs based on your job specifications. In this day and age, you don’t often find a worldwide industry leader operating in the same place as when it was founded. But that’s the way it is with Reinke. They’re still in Deshler, Nebraska, the original location established by founder Richard Reinke in 1954. They choose to remain in Deshler – America’s heartland – close to their roots and their customers because that’s who they are. They live and work among the growers of this country and their dealers live and work among the growers of countries all over the world. 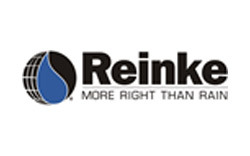 They are a global leader in irrigation products, but they are a hometown business at heart. Travis Pattern & Foundry is the largest privately owned provider of aluminum castings west of the Mississippi. Annually they experience an output of 7 million lbs of aluminum which is shipped world wide as both finished products and raw ingot. While the majority of their work consists of larger volume orders, their job shop style manufacturing model allows for the greatest product flexibility while maintaining the shortest possible lead times. Their primary molding methods consist of the green sand, permanent mold, and no bake processes. 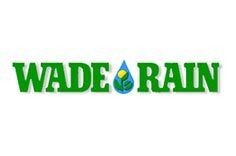 They manufacture a full line of irrigation equipment under such name as A&M, Western, Sontag, Ames, Sure Rane, and Moore Rane. 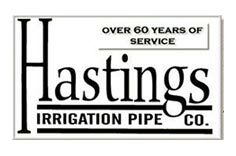 For over 60 years, Hastings Irrigation Pipe Company has been a world wide supplier of products to the Irrigation Industry. Whether it is a gated pipe system, portable mainline system, handmove, or a solid set sprinkler system, Hastings Irrigation Pipe Company has the product selections which will meet your specific needs and efficiency in both water and energy. 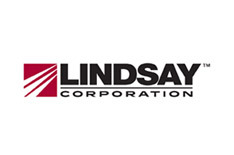 Lake Company sells a complete line of irrigation products*. They specialize in aluminum pipe; gated, dragline, grooved end, latch style, no latch style. They also manufacture mainlines, both latch and ringlock style. Check out their wheel line systems. Lake Company is proud to be of Western Oilfield Supply Company’s continued excellence in the irrigation, liquid and solid handling Business. Gheen Irrigation Works is a manufacturer of a wide variety of steel fittings for farm, commercial, and industrial use. 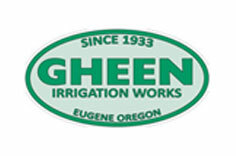 They’ve been manufacturing irrigation fittings in Eugene, Oregon since 1933. Their fittings are used in the transmission of water and the irrigation of crops all over the world.